Wonderful, delightful, exceptional Shiraz... Luddite! South African wines have characteristics of both Old and New Worlds, and the very best strike a balance between tannins, acidity, alcohol and fruit. South African Shiraz has more of a cool climate feel than the full, fruit driven wines from Australia, and is nearer to the French style, Syrah. However, it still has the black fruit and spice exuberance typical of Shiraz, and represents a combination of very good value and excellent quality. Its colour is that of deep plum with aromas of rich black fruits, smoke, chocolate and black pepper and then there’s the taste, exuberant and rich, with great depth and complexity. Niels and Penny Verburg from Luddite Wines have mastered Shiraz and this 2008 vintage which happens to be on our top 3 favourites at Hartford House, is simply sublime. Penny remembers planting the first vines in 2001 without any established irrigation, refilling a bucket and watering by hand. Naysayers warned it would never work, but miraculously the rains came. The Luddite vineyards lie on the Eastern slopes of the Houw Hoek Mountains, 30km from the Atlantic Ocean, and fall within the Walker Bay Wine Ward. The morning sun washing over the cool South-Eastern slopes encourages long ripening, which in turn creates spicy characteristics in the well-balanced Luddite Shiraz. Six hectares of the 17 hectare property is under vine, planted with Shiraz grapes. There are also Frantioa, Mission and Leccino olive trees and a herd of happy pigs. In 2011, Penny planted Luddite’s first block of Chenin grapes. 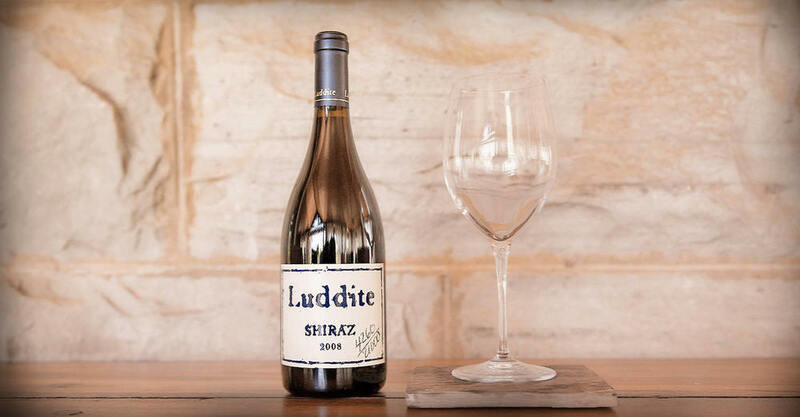 So when you next visit us Hartford House for dinner, let us open a bottle of fine Luddite Shiraz for you... it is unforgettable.